Having a hard time deciding which Simply Skinny product to choose? It's all a matter which formula your body will respond best to. 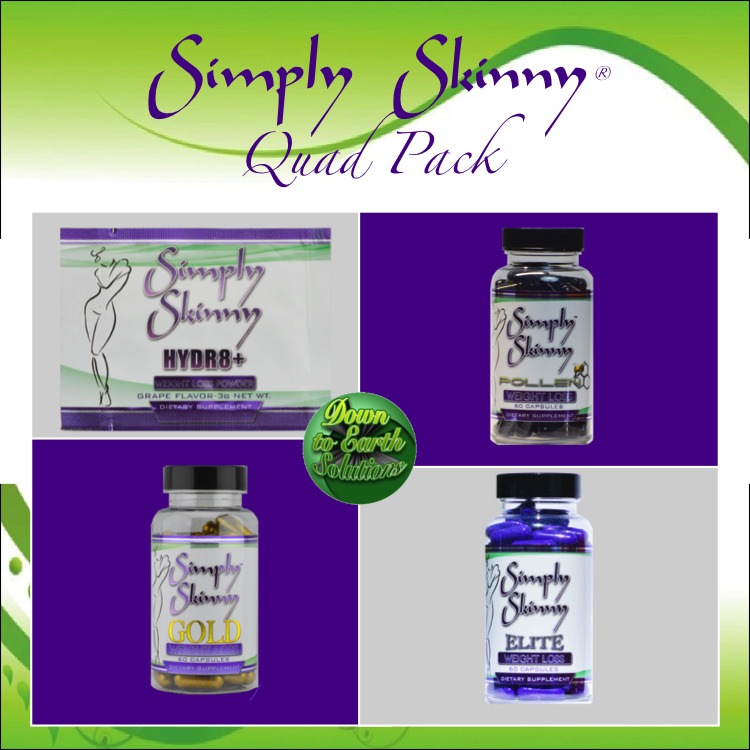 The Simply Skinny® Quad Pack is designed to do just that.. help you choose; includes (4) 7 day trial packs of our top selling weight loss products and so you'll be sure to find your best fit! 1 week (7 capsules) Simply Skinny Elite.